A common flow thru heater fitted to many spas and hots tubs manufactured in the far east. This is the smaller 13" unit with a 1.5kW incoloy element. 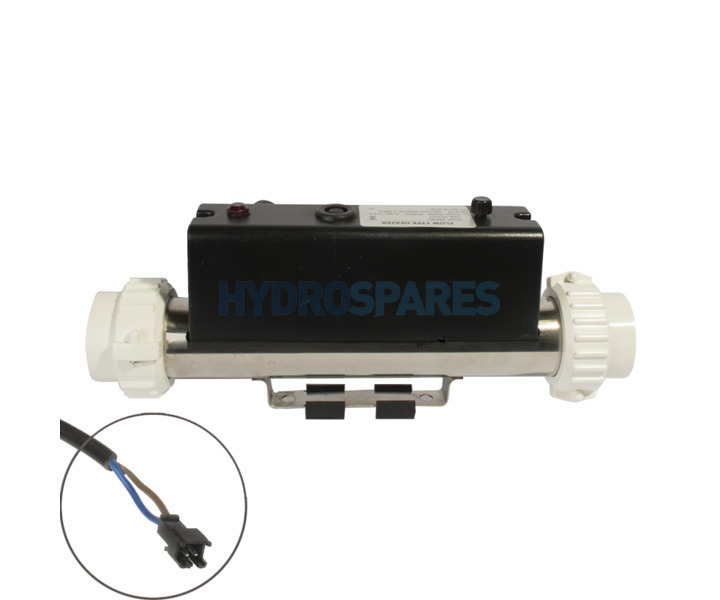 This heater unit has a in built hi-limit reset switch, psi sensor and cable with a 2 pin JST style connector. This cable connects to the PCB in the hot tubs spa pack. Ensure when installing that there is adequate water flow to generate back pressure for the sensor.